Last week, the KinderLab Robotics team headed up to New York City for the World Maker Faire. 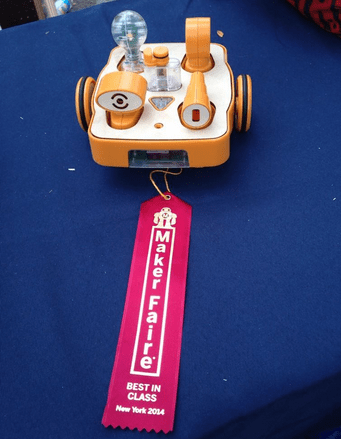 If you’re not familiar with it, the Maker Faire is a gathering of tech enthusiasts, teachers, students, engineers and the like, to showcase and share new products in what can be accurately described as a ‘festival’ style atmosphere. At our station, attendees had the chance for a hands-on experience with KIBO, our developmentally-appropriate programming robotic kit. It was a great way for children and adults to get acquainted with KIBO, to learn about the idea of how technology can teach programming logic in a fun, expressive and creative way – and for many visitors to see first-hand how KIBO genuinely appeals to four to seven year-olds. 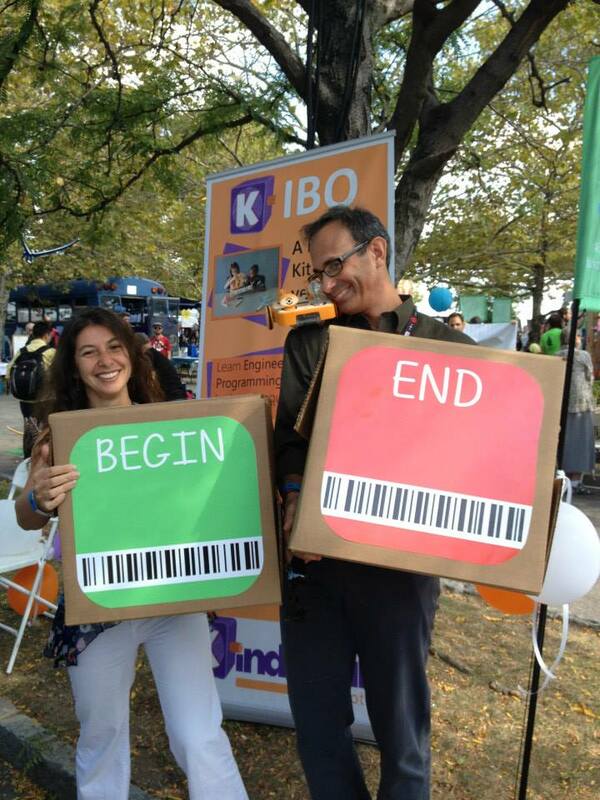 Our co-founders, Mitch Rosenberg and Marina Umaschi Bers, jumped straight in with their typical enthusiasm for programming – this time with a little help from larger-than-life replicas of KIBO’s wooden blocks. The blocks are key to KIBO as they are the key pieces to the puzzle (and fun) of coding the KIBO robot – you can see the whole thing in action here. We’re proud to announce that KIBO won the ‘Best in Class’ award at the show – highlighting our dedication to arming today’s youth with the skills necessary to succeed in a technology filled world. It was great to discuss the importance of programming with so many children, teachers, parents and supporters. Did we miss you at Maker Faire? Get in touch today to learn more about our child development research, KIBO and KinderLab Robotics.